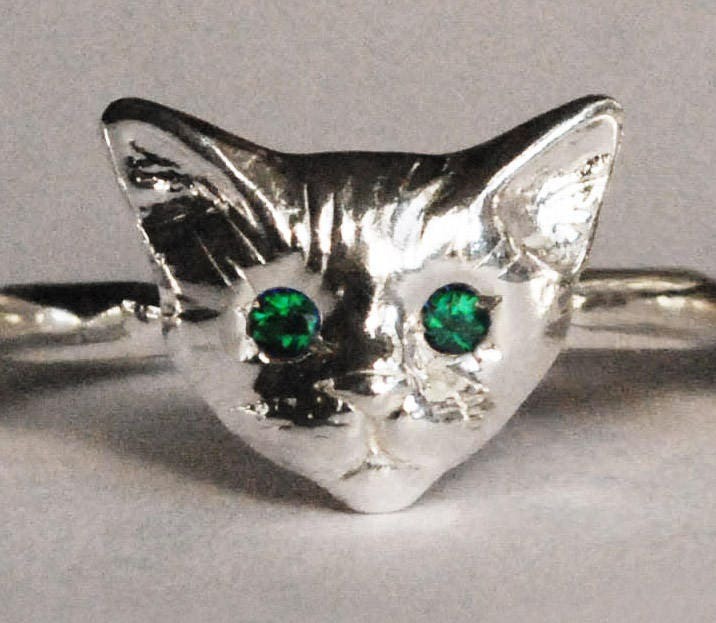 Solid Sterling Silver Kitty Cat Ring with 1.5mm lab made light or deep green emerald eyes. 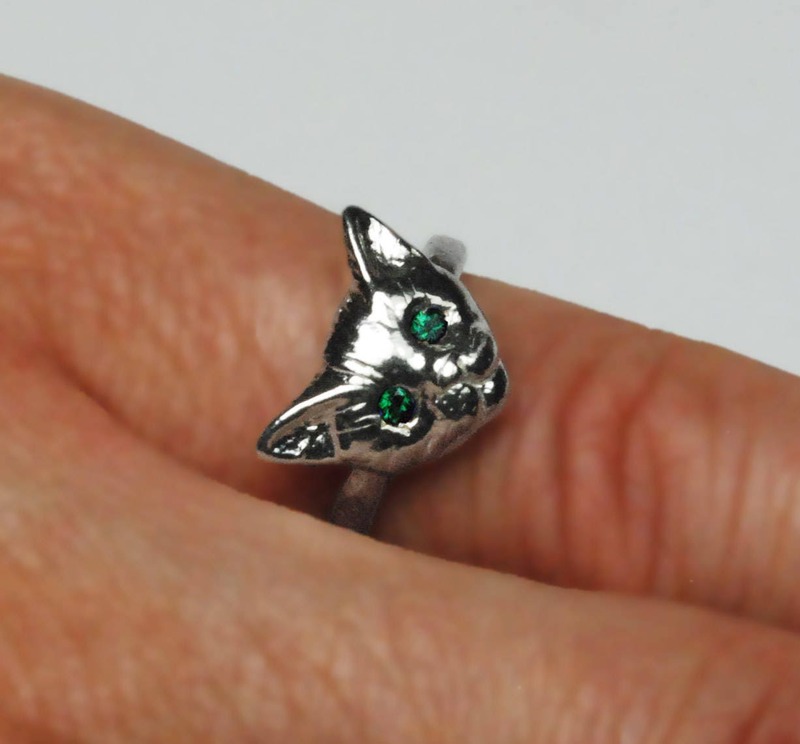 Love my ring! 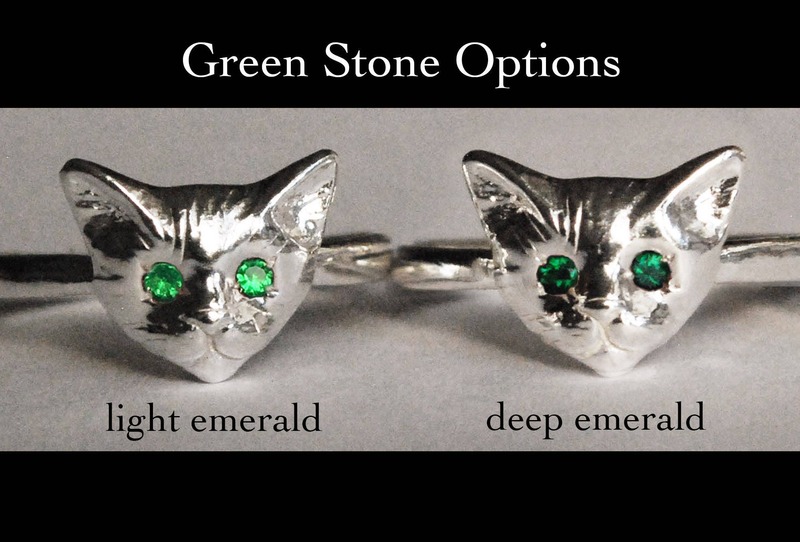 Shipped quickly!